Another gift from my buddy Fil, and another hit! Fil says he hasn’t read this one yet, himself, and I say to him and to all of you: hurry up and read this slim but powerful book! My 25th anniversary edition includes an introduction entitled “A House of My Own” by Cisneros, which was gold; do find an edition with this intro, because it’s wonderful. I would say it was my favorite part of the book but I can’t relegate any other part to less-than-favorite. The House on Mango Street is a collection of short stories, and I mean short – the longest run to 3-4 pages, most 1-2, some just a paragraph long. 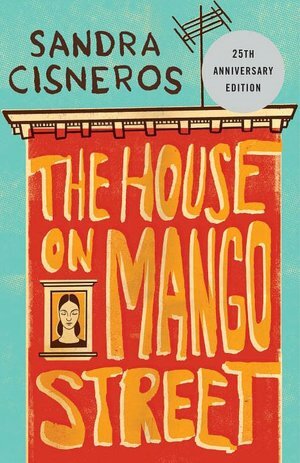 As a whole, they follow Esperanza (the narrator) through the first year of life at the first home her parents own, on Mango Street. It is not the home they aspired to and Esperanza doesn’t like it very much. She has a lot in common with Cisneros – the city, the time, and the ethnic background; but I know from “A House of My Own” that Esperanza is really a combination of Cisneros’s students, people she’s known and people she’s made up, and herself. There is a coming-of-age element, as well as a theme of home – what makes a home, what a person need from her home. The subject matter is mostly mundane and ordinary (a young girl’s life and disillusions, her disappointment that she has to wear old shoes with a new dress to a party) but also serious, weighty, and sad (because such things happen to a young girl, too). I only knew Sandra Cisernos by reputation before I picked up this book; that will have to change, because she’s amazing. It’s only about 100 pages long (including the introduction), a super-easy read, and so powerful. No excuse! Go get yourself a copy. This slim (140-page) volume is less traditional travel memoir and more a series of one-to-two page reports on individual experiences, or meditations on what it means to be a cycle-tourist in underdeveloped areas. 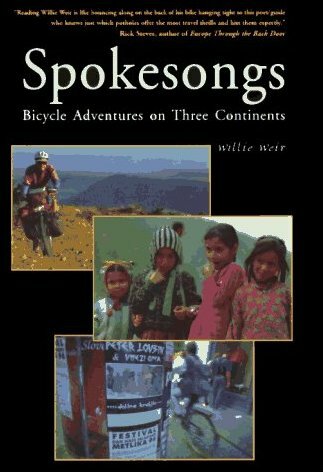 The eponymous three “continents” of India, South Africa and the Balkans make up only a small portion of Weir’s experience as a cyclist and as a cycle-tourist (that is, someone traveling by bicycle). He also has experience as a bicycle courier in Seattle, something which will always increase credibility in my eyes. 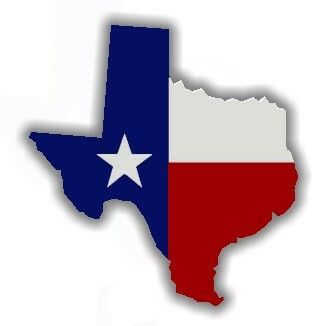 (I did the same in Houston for a few years, in an earlier life.) He calls his brief vignettes “verbal songs of the road,” which I think is a nice turn of phrase. Each episode or anecdote tells a very simple, brief story; as a whole they don’t make up much of a sum narrative, which is not a criticism. This could be a coffee-table book, to be picked up time and again at random. It’s very easy, an effortless glimpse into one man’s adventures, with a touch of a love story coming in at the end. The writing isn’t sophisticated (nor even consistently correct, grammatically) but it’s sweet, and it’s real. While there are certainly far more complete, involved stories of bicycle adventures of various kinds, this might be the simplest to enjoy and one of the briefest. It was a gift from our buddy Fil to Husband, the Not-Reader, and I think it actually has a chance of being read by him, at least in parts, which is saying something. 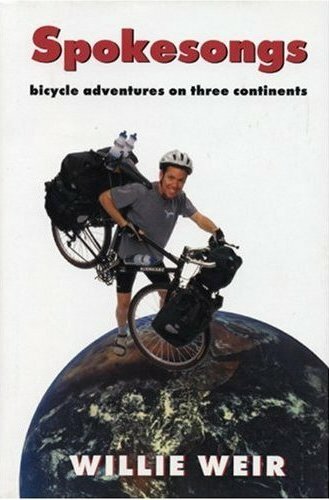 I recommend it for what it is: a brief look at cycle-touring in the developing world, or a collection of brief, captivating experiences. I had a difficult time choosing a teaser from this amazing book for you. My review is yet to come, but in a nutshell – read it. Minerva cries because her luck is unlucky. Every night and every day. And prays. But when the kids are asleep after she’s fed them their pancake dinner, she writes poems on little pieces of paper that she folds over and over and holds in her hands a long time, little pieces of paper that smell like a dime. Speaking of poems… prose poetry, no? Hey Simon, look at you with your successful meme! 🙂 Thanks for doing this one again. I agree with you that is was great last time around (Simon’s post; my post) and I can’t resist playing along, again. 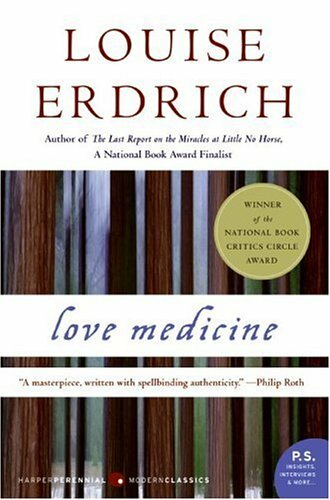 The book I’m currently reading is Louise Erdrich’s Love Medicine. This was a recommendation from my aunt Laura several years ago. I bet she thought I forgot, but I didn’t! It’s been on my shelf and I have finally picked it up, prompted by the Where Are You Reading? Challenge. It’s set in North Dakota, and it’s about an extended family of Native Americans. I’m enjoying it. 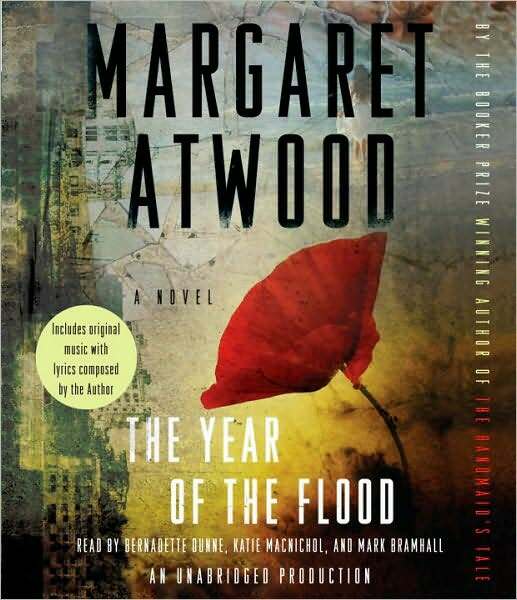 And, on audio, I’m currently “reading” Margaret Atwood’s The Year of the Flood. It’s fairly thought-provoking. I’m glad to be revisiting Atwood; she’s so talented and always makes me think. This one is a bit creepy but oh so delightful, too. It’s speculative fiction set in some unknown future, after the “waterless flood” which has wiped most of the population off the earth, it seems, combined with flashbacks into a dystopic world ruled by corporations. 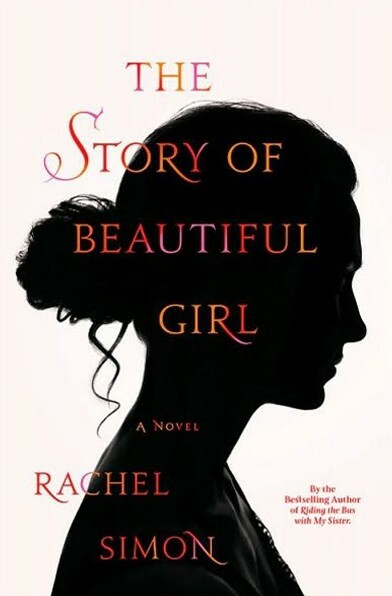 The last book I finished was The Story of Beautiful Girl by Rachel Simon, and it was so beautiful. (My review should be up next week.) I highly recommend it. And along the same lines, I’ve picked out a few audiobooks for the drive, including James Lee Burke’s Bitterroot (love Burke, haven’t read this one yet), Grisham’s The Appeal (why not, Grisham is solid if predictable), and Ken Follett’s Hornet Flight (have never read him, this will be a first try) but – back to the spooky theme – also including Stephen King’s Stationary Bike. There is a joke in there somewhere about the bike being the evil force in this story, and us driving towards a bike race. 🙂 This will be only my second Stephen King experience, the first being From a Buick 8, in which the car was the bad guy. Is this a coincidence? 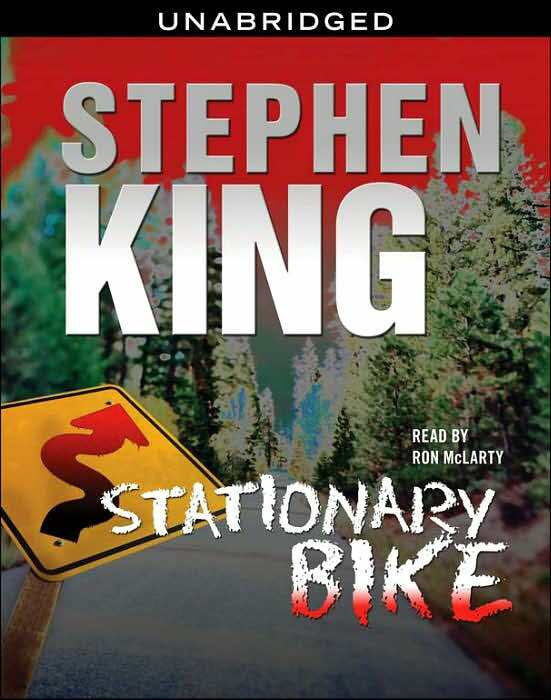 Or is Stephen King all about transportation-as-evil? The last book I bought was, oh heck, I don’t buy books very often (working in a library is the best!). 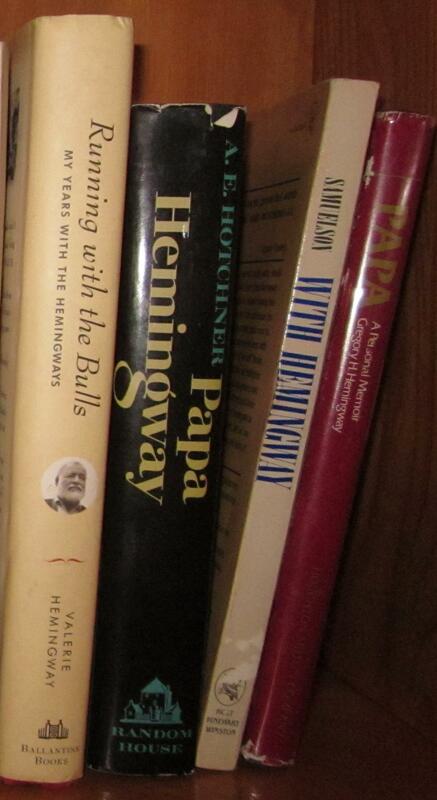 I think the last books I purchased were the four memoirs relating to Hemingway that I mentioned here. 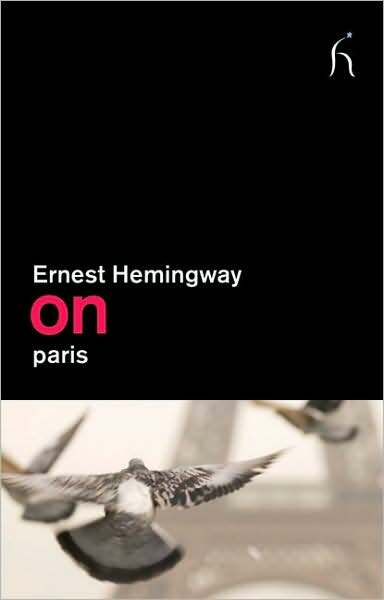 They were: Papa: A Personal Memoir by his son Gregory (Gigi), With Hemingway by Arnold Samuelson (“the Maestro”), Papa Hemingway by longtime friend A.E. Hotchner, and Running with the Bulls: My Years with the Hemingways by Valerie Hemingway, Gregory’s ex-wife (who was originally a secretary or assistant to Papa). The last book I was given would also be a list of several, and as usual came from my good buddy Fil. (Fil, you’re a doll. They’re still on the shelf.) 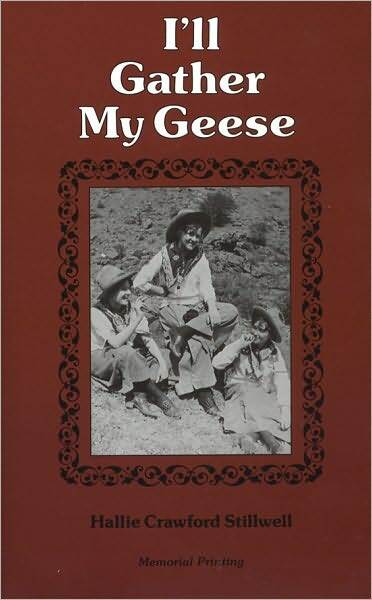 I’ll Gather My Geese by Hallie Crawford Stillwell is a memoir of a young woman in the early 1900’s who left home to travel west, into deep west Texas desert of Big Bend country, and had all kinds of adventures. Fil knows and shares my interest in and love of this area, which I’ve mentioned before. Thanks, Fil! And thanks, Simon, for putting this together again! EDIT: And oh heck, I just remembered, I have been gifted a book since those (but I’m leaving them up for your perusal! ): my parents came home from France with some delicious delectable macaroons for us, and a copy of Hemingway on Paris for me. Yum, and yum. 🙂 Thanks, parents! I ate up the story of Annie Cohen Kopchovsky, better known as Annie Londonderry, like the tale of adventure it is. As I said earlier, this story combines sports marketing, women doing outrageous things, bicycles, travel, and history. Nowhere to go wrong there, unless in writing badly or boringly – which Zheutlin thankfully does not. 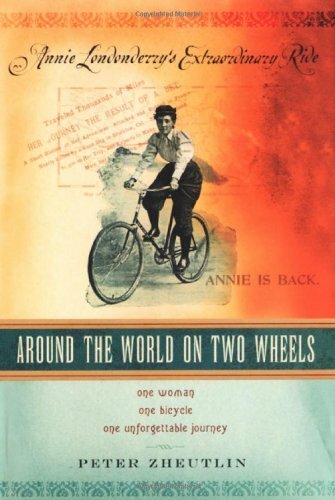 Annie was a working-class young mother of three living in the tenements of Boston in the 1890’s, when she decided, out of the blue, to take on the challenge of riding a bicycle around the world in under 15 months. She had never ridden a bicycle before, and her decision to set off on this journey is rather mysterious. The origins of the idea are rather unclear: she claimed that two wealthy Boston businessmen had made a wager that a women couldn’t do such a thing (following the around-the-world ride just recently accomplished by a man), and that they were offering a substantial purse upon her successful completion, but it does not appear that there were any such businessmen or any such wager. At any rate, Annie acquired a hefty women’s bicycle, a new name (the Londonderry Lithia Spring Water Company became her first sponsor), and set off. Annie doesn’t appear to have planned very well. She set off first for New York, from Boston, then Chicago, then back to New York, then across the ocean to France. If your knowledge of geography suggests that this is not the most efficient route for circumnavigating the globe, you are correct. In Chicago, Annie abandoned the attire that was appropriate at the time for ladies: high collars, long sleeves, full skirts with copious undergarments and petticoats and corsets and… lots of things I’m not familiar with. She first went to bloomers or split skirts, and eventually (I believe on her second visit to New York) gave up on even the bloomers and went to a “men’s riding suit”, meaning pants that more or less fit her – ack, shocking! She also picked up (in Chicago) a “diamond-frame” men’s bicycle – meaning, with a horizontal top tube, making skirts impractical or impossible. Her bike lost some 20lbs in this transition, and her wardrobe change lost a lot of weight, too. The most fascinating parts of Annie’s story are the inconsistencies, erm, not to say lies she told throughout. She changed the terms of the wager repeatedly; she gave a plethora of personal biographies to different newspapers, ever-changing and not once (at least not that is documented) telling the truth. She never mentioned, for example, that she was a married mother of three; this would have made her leaving home unacceptable in her society. Annie told outrageous stories of violence, adventure, and near-death experiences during her journey, many or most of which appear to be false. And most egregiously, perhaps, she did not ride a bicycle for the majority of her trip at all. She rode, as stated above, around the northeast United States, and then across France, and from there took trains and ships almost exclusively (with a series of short, recreational or social rides for exhibition or touring purposes) from France to the Far East. She then shipped to San Francisco, where the riding began in earnest again; she rode south to El Paso and back up to Chicago, Boston, and New York, most likely with some miles by rail interspersed, but overwhelmingly by bike. Annie claims to have won the wager, making it back to Boston under the 15-month deadline, and to have secured the $10,000 purse; but who paid it? Never mind the details, she would have told us. Although she didn’t ride anywhere near all the miles, she did a lot of riding, and appears to have finished in awfully good shape, even for a man of her time (and goodness knows, unheard of for a woman). She was a colorful character, and while not above criticism, what she did do was a remarkable accomplishment. If she cheated and rode “only” 10,000 miles, I would still give her a high-five and my respect. By today’s standards it’s easy to disparage the ethics of her, um, liberties with the truth, and the journalistic ethics of the many papers who covered her story credulously (and her own later career in sensationalist journalism). But Zheutlin does a fine job of setting the stage for the reader, reminding us that these were the journalist standards of the times. Interspersed into this story of Annie’s wild ride and her telling of tall tales, Zheutlin gives us snippets of the history of the women’s suffrage movement, the history of the bicycle in American culture, and the revolution in women’s clothing reform that was deeply intertwined with bicycle riding (I wasn’t aware of the close relationship there). 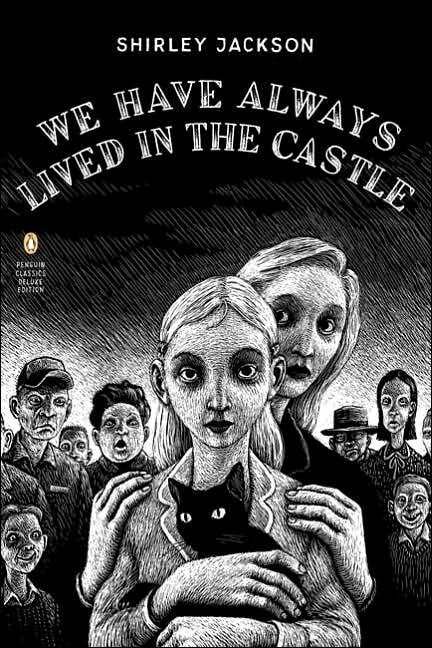 I found the author’s Afterword, in which he discusses his research process and his relationship with Annie’s memory (she is his great-grandaunt, although he only learned of her existence after her death), especially moving and interesting, and I wish this aspect would have played into the body of the book. As I’ve said of several nonfiction books I’ve read before, I enjoy the author’s voice, and her/his experience in research and writing. To me, this is part of the story, and leaving it out can be a disservice, leaving the story incomplete, or at worst, even dishonest. I don’t accuse Zheutlin of dishonesty of course; I’m just saying his role in Annie’s story being told is an important chapter, in my opinion. I really enjoyed this story for its crossover elements into so many chapters of history: women’s rights and clothing standards, bicycles, travel, journalistic trends, even tidbits of various world cultures. I also appreciated Annie as an outlandish and wild woman, cyclist, and teller of tales. And I took pleasure in Zheutlin’s quiet comments on his research processes. If you’re a stickler for honesty, don’t expect to find Annie entirely likeable; but I think you’ll still be impressed by her story, and learn a few little-known details of our history as women, cyclists, and Americans. Check it out.